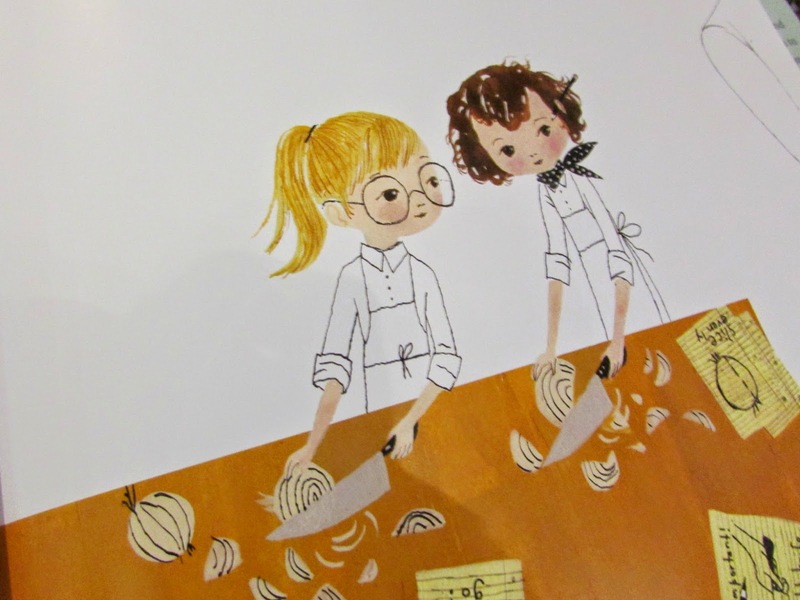 211 Bernard: This Week in Delightful Children's Books: Julia, Child by Kyo Maclear, illustrated by Julie Morstad! 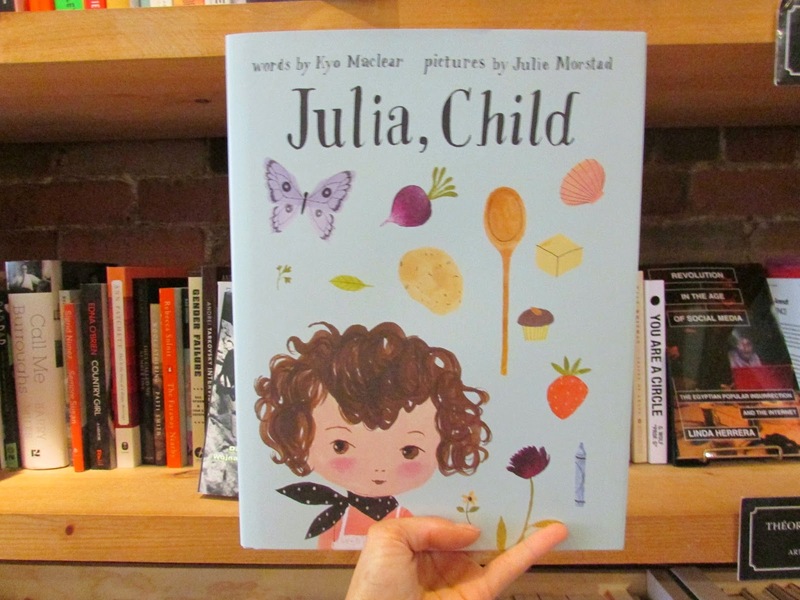 This Week in Delightful Children's Books: Julia, Child by Kyo Maclear, illustrated by Julie Morstad! 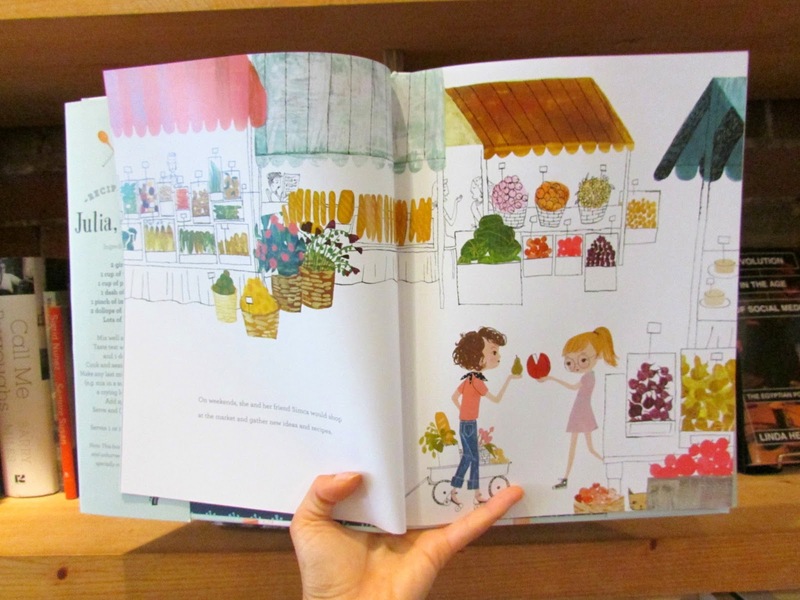 As a lover of Kyo Maclear's stories, Julie Morstad's drawings, and Julia Child's everything, Julia, Child is basically the epitome of everything baby me would ever want. Which is really fitting, considering the story is about a fictionalized Julia and bestie Simca deciding being a kid's where it's at, and that the adult world is a boring place where everybody rushes and worries. The girls love cooking and they love the freedom and excitement that comes with being a kid, so they decide to share the magic with adults by making them a feast and helping them master the art of having a good time. The book's website is quick to point out that Julia, Child is a fictional tale "loosely inspired by the life and spirit of the very real Julia Child — a story that should be taken with a grain of salt and a generous pat of butter," which is adorable, and we all know if Julia Child had been able to magically turn adults into fun and fancy free children-at-hearts, she would have been on that in a heartbeat. Maclear preserves certain elements of Child's life, however, including her famous friendship with penpal/collaborator Simone "Simca" Beck, who appears here as Julia's partner in crime, and shares Beck's real-life seriousness and sassy glasses. 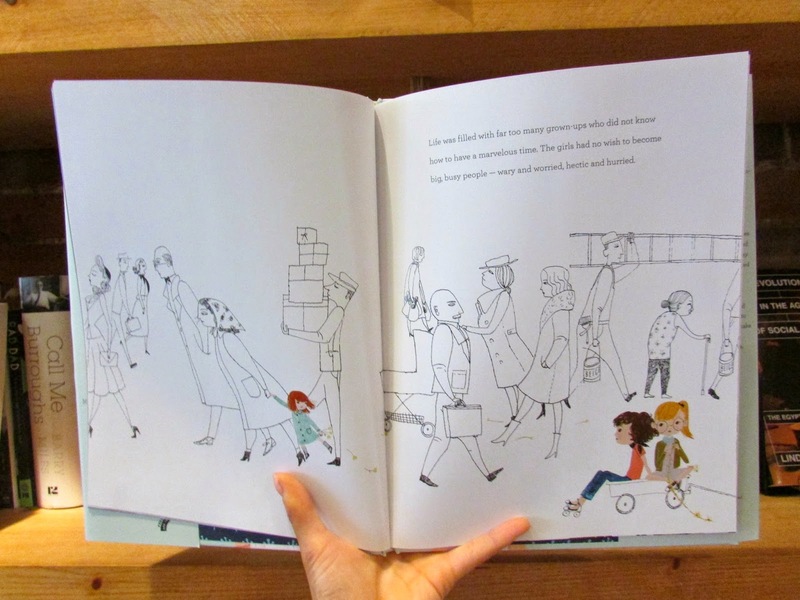 Morstad's style is gorgeous, a mixed media masterpiece that emphasizes the hurried, unseeing nature of the adults in black pen, and highlights the charm and delight of the children with Morstad's well-known, colourful illustrations. 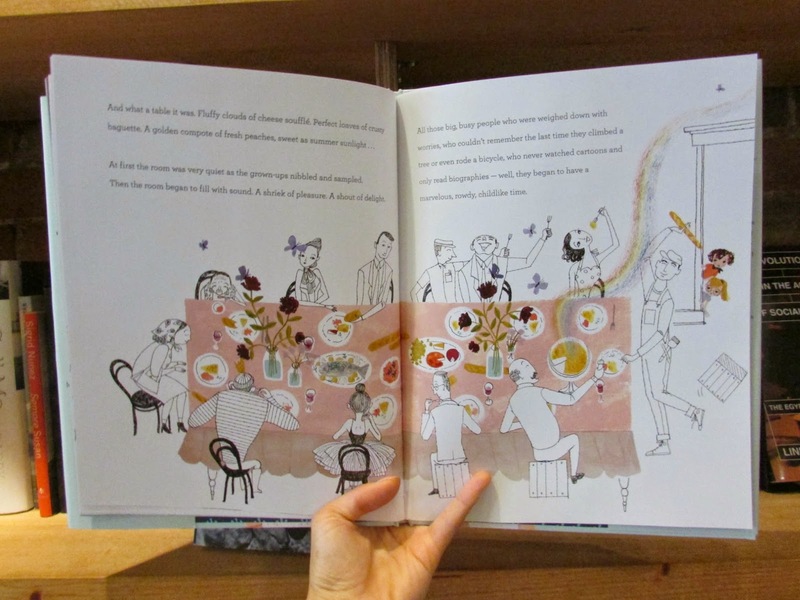 All in all, Julia, Child is a sure bet for any kid, and serves as a poignant reminder to adults to be a little more lighthearted every once in a while. 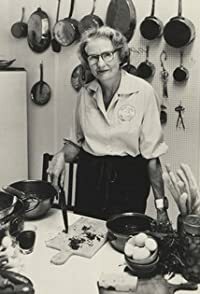 It also serves as a reminder to all of us that Julia Child rocked hard, and we should all go watch her TV series (or at the very least watch her make a chicken). Buy it today! If not you won't get to own this brilliant image of a lady hitting a man with a french baguette.